For those of us who do a lot of microscopy at our day jobs, it comes as no surprise that biology can be beautiful. 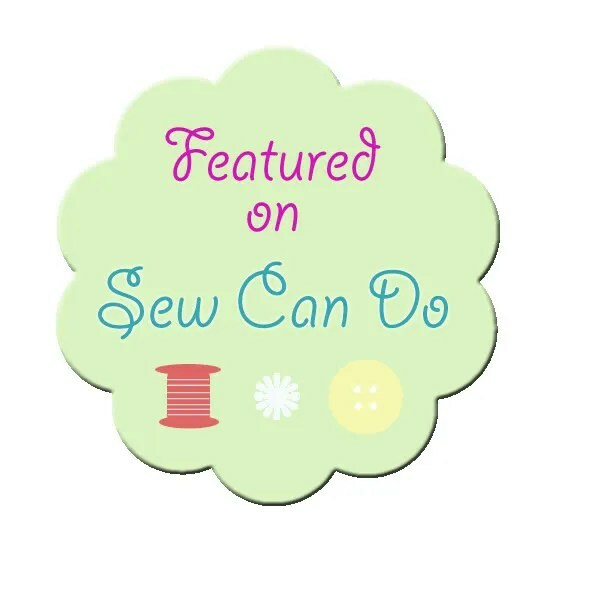 I saw yesterday over at Sew Well that the journal Cell has a feature called “Art Under the Microscope” where fiber artists interpret beautiful cellular images. 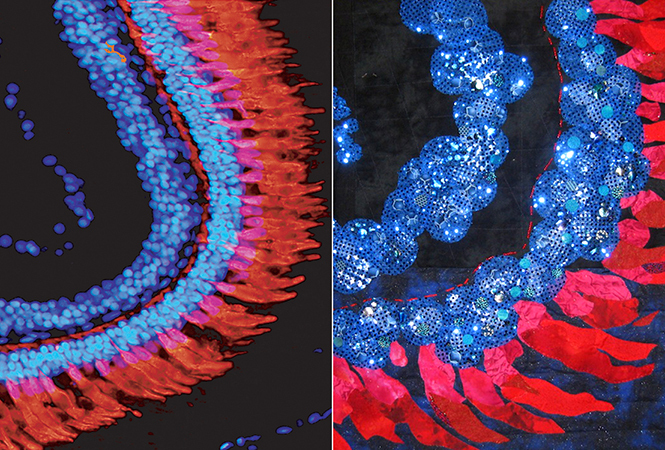 Go check it out, both the microscope images and the quilts are amazing! In undergrad I tried to do something similar and would paint microscopy images from my textbooks, with limited success. But then I got to move on to the Big Leagues and got to do a lot of microscopy throughout my PhD and postdoctoral work that really produced some gorgeous images (though not always so scientifically relevant…). Anyhoosidoodle, I thought I’d share some of those images with you here! Three cheers for science! I won a contest with this image during my PhD when it was selected to be the cover art for Grad Student Research Day for the med school. The image above is showing cellular membrane fusion. 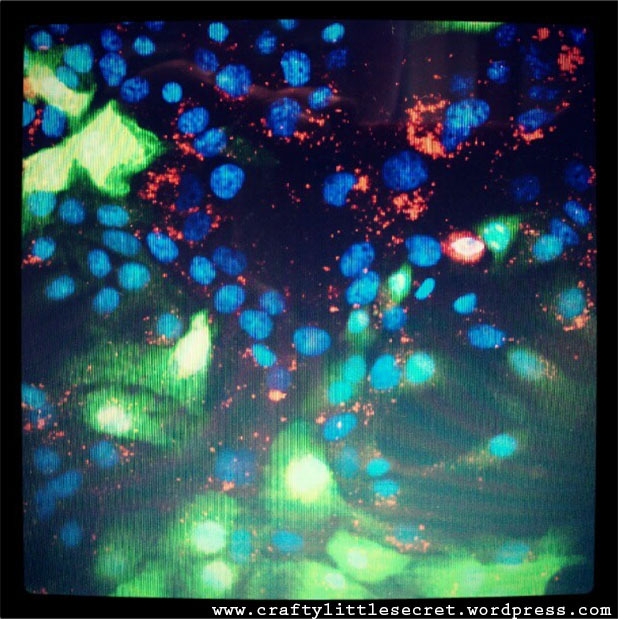 You can pick out each cell’s nucleus as the big blue ovals with dark spots in them (or the dark spot in the red cell). Normally, each cell would be self-contained and surrounded by it’s own membrane like a sack (think: fried egg). In the blue cell though, you can see that all these cells share the same membrane/”sack”. Their membranes have fused together making one giant cell with multiple nuclei! Some viruses use this “membrane fusion” phenomenon to infect cells and spread throughout the body and that, in a nutshell, is what I’ve spent a lot of my career so far studying. Sorry for the poor quality, this is an instagrammed picture of a computer screen, LOL! Ok, that’s enough geeking out for one Saturday afternoon! This entry was posted in Uncategorized on September 21, 2013 by missphd.